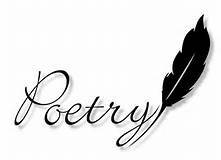 For the month of April, Glade Library patrons are encouraged to bring their poetry in to display throughout the library. Anonymous entries are allowed. So … let your creativity begin … put your pen to paper …. and share your thoughts for us to enjoy!